A person injured in the use or maintenance of a motor vehicle is entitled to No Fault Insurance coverage for those injuries (with many exceptions, that should be reviewed with a qualified attorney). This coverage pays for out of pocket expenses such as medical care (traditional and non-traditional), lost wages, and household assistance. For this coverage, it doesn’t matter who caused the accident; whether it was you, another driver, or if it was purely accidental such as an impact with a deer, this coverage applies. Which insurance company pays for the coverage is sometimes a complicated question. It is often your own insurer even if someone else is at fault. 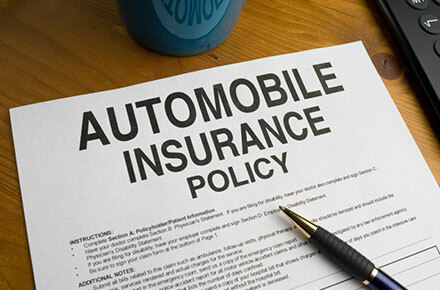 If you have no automobile insurance, some other insurer will likely be responsible for providing you benefits. If you have injuries from a situation involving a motor vehicle, consult with a qualified attorney to determine who provides this coverage for you. Following a motor vehicle incident, you should seek immediate medical attention to have your injuries evaluated and treated. The expense should be submitted to the appropriate no-fault insurance provider. That insurer should cover ongoing treatment expenses until you no longer require care or until the benefits are exhausted, whichever comes first. Frequently, the insurer will challenge the ongoing care, requiring you to submit to an “Independent/Insurance Medical Examination (IME).” The insurer can then utilize the IME report to discontinue payments. If you have been managing the claim on your own until this point, delay no longer and immediately consult with Fullerton Law, P.A. to determine your rights and receive counsel on the future of your claim. This is a critical time in your no-fault claim, and care should be taken to avoid unnecessary financial burdens.